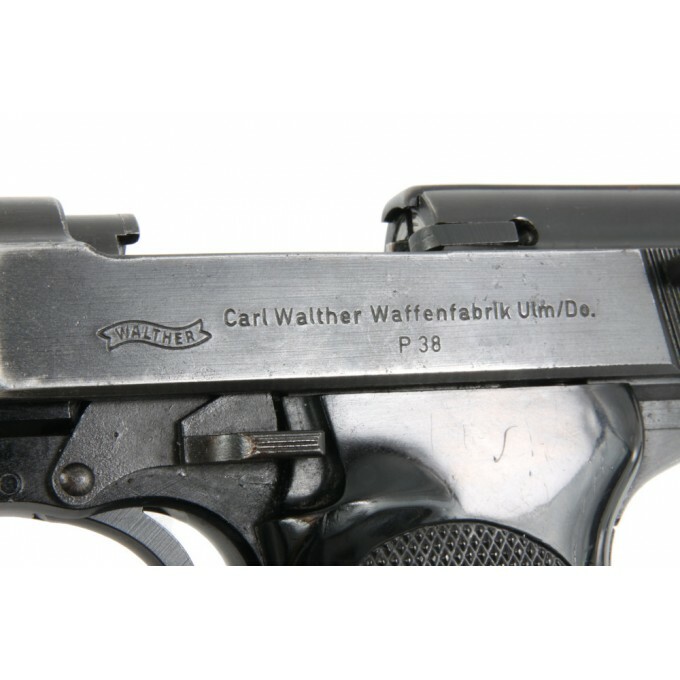 P38 Pistol made by Carl Walther Waffenfabruik Ulm/De in 1974. 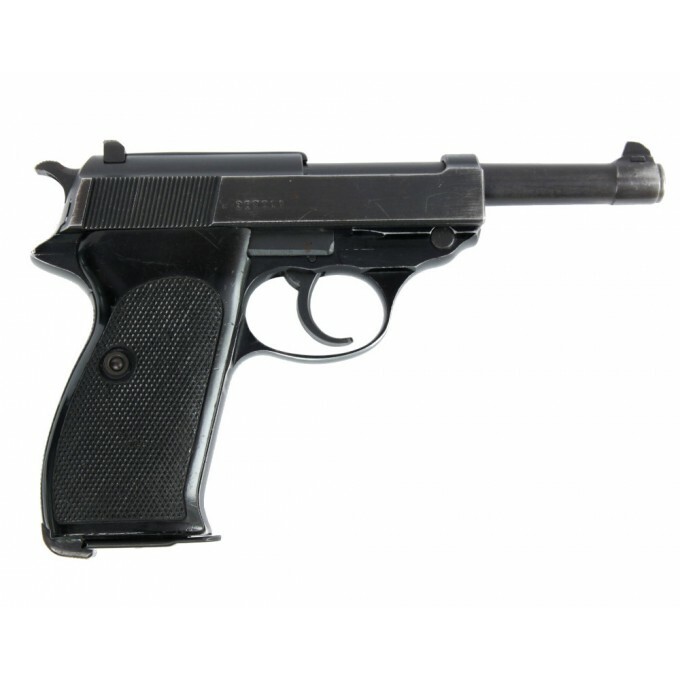 P38 Pistol made by Carl Walther Waffenfabrik Ulm/De in 1974. 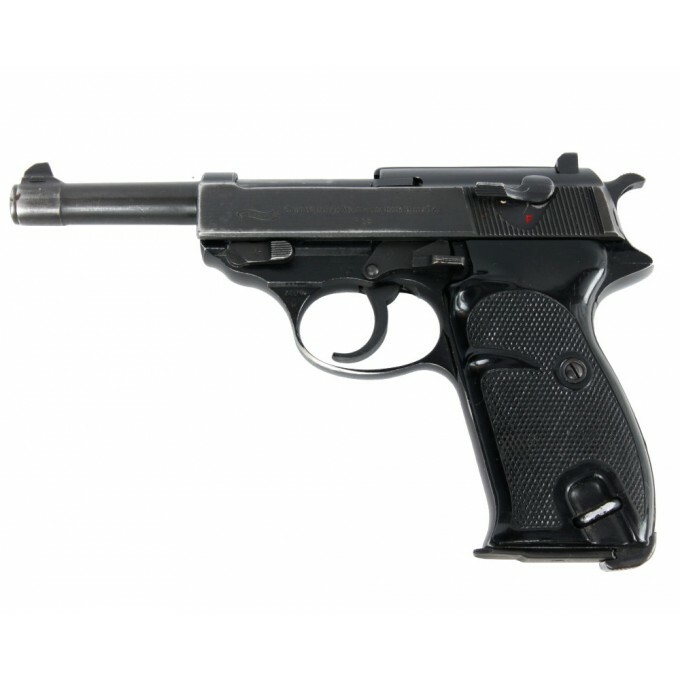 The model showed here was produced in Ulm, Germany, in 1974 by "Carl Walther Waffenfabrik Ulm/De" - best known as "Walther". 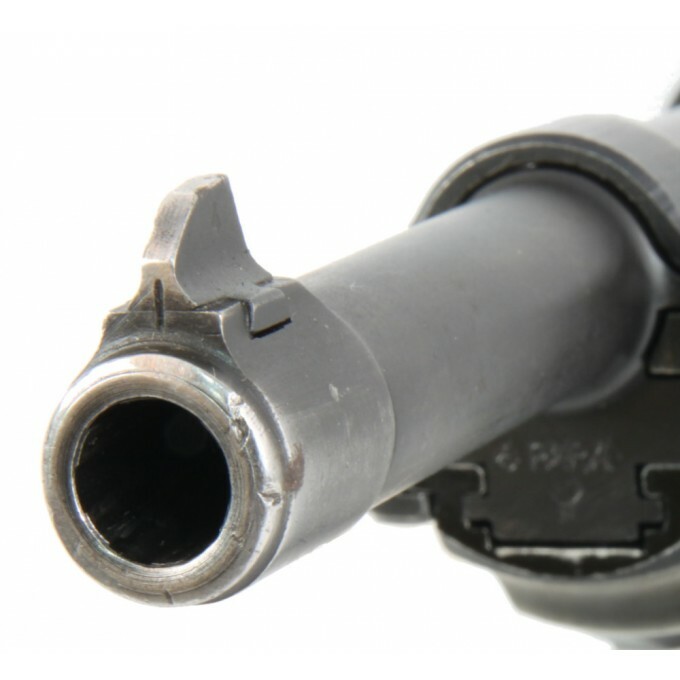 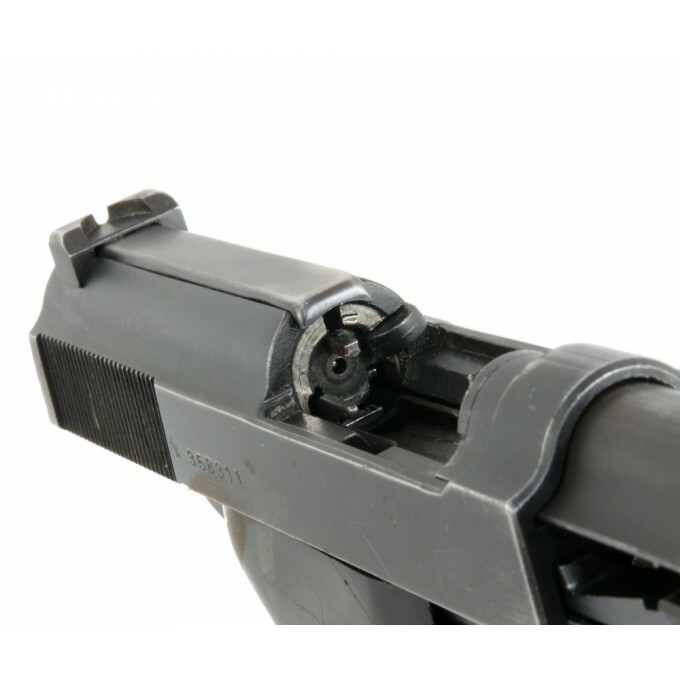 The pistol belongs to the lot produced from 1972 to 1974, which, in place of the transverse pin under the barrel, uses a ring inserted in the back of the cartridge chamber. The gun is in good conditions and retains the original metal finish, bleached in the edges. 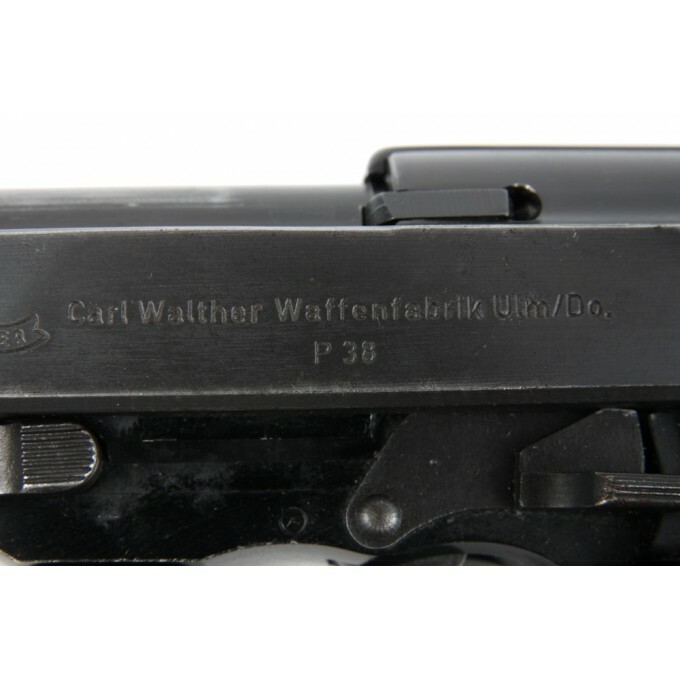 Inscriptions and markings are well visible. 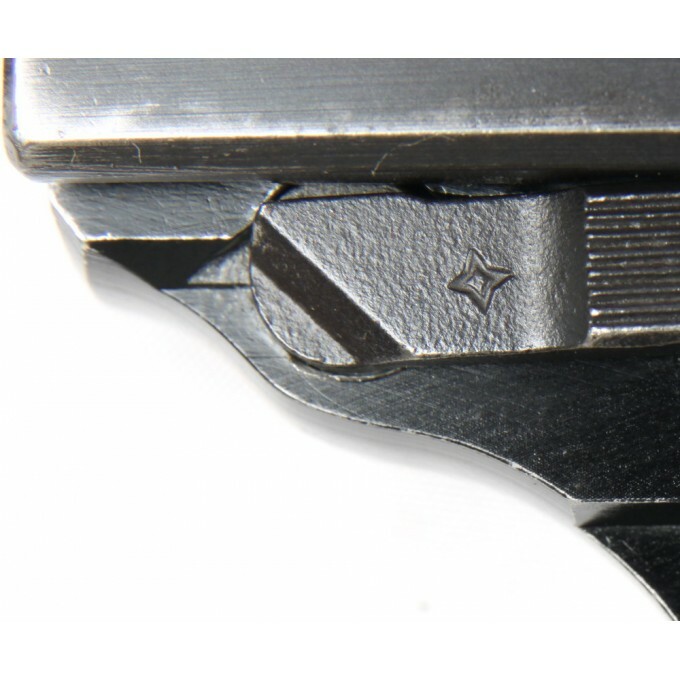 It's a Double and Single Action, with a fixed blade front sight and a square notch rear sight set in a dovetail adjustable for windage. 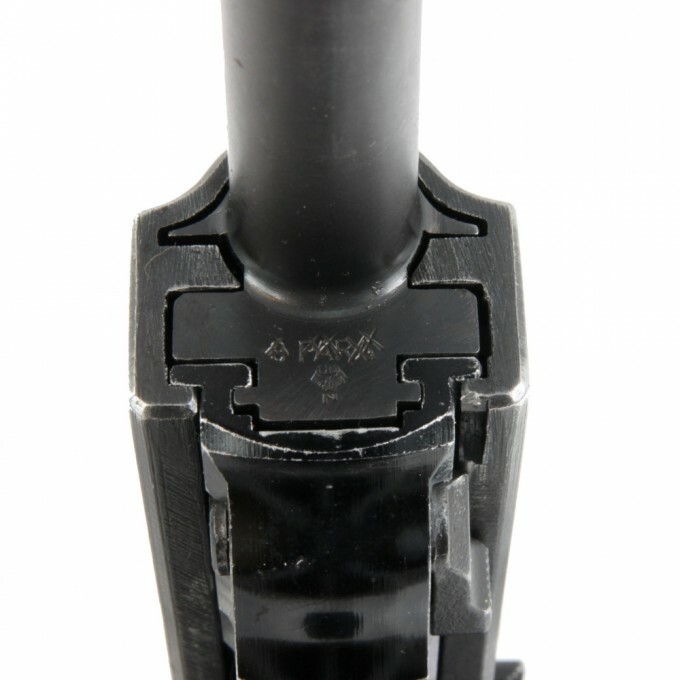 The grips are checkered black plastic. 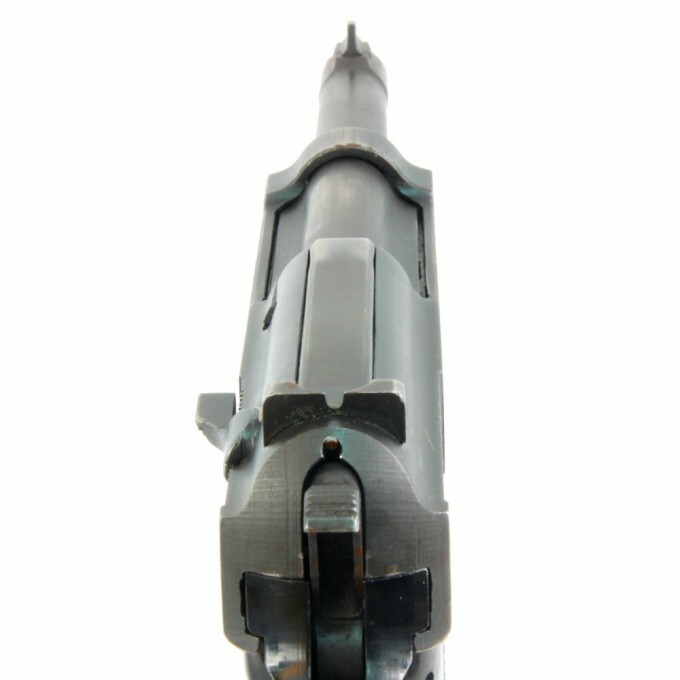 The bore is bright and the rifling is sharp. 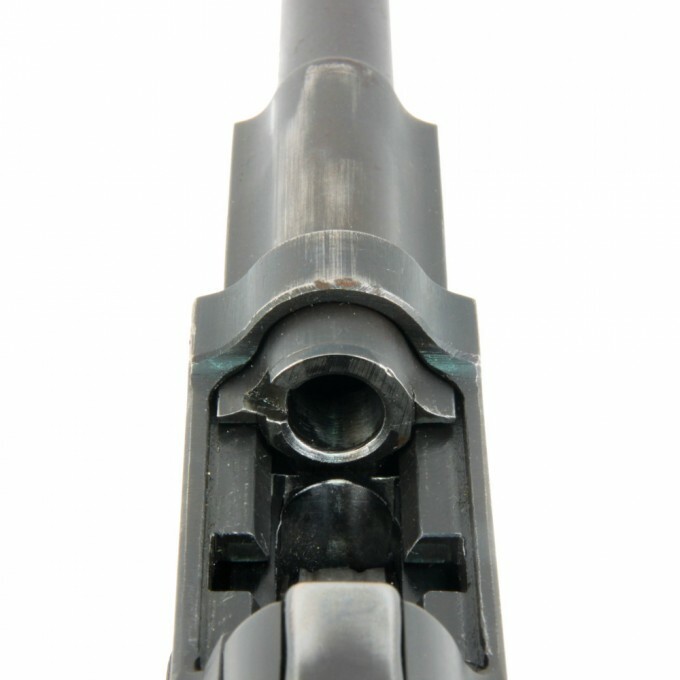 The muzzle crown presents little dents in its external part. 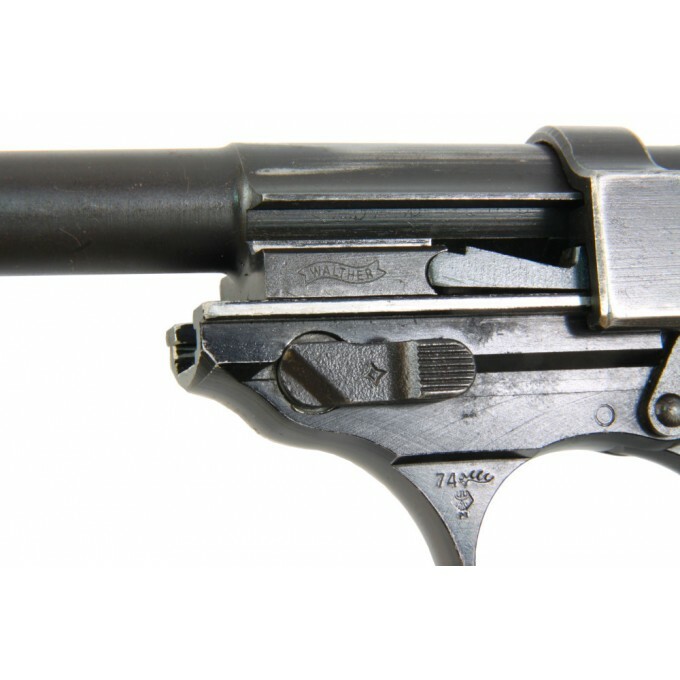 Double action pistol made by Carl Walther that belongs to the lot produced from 1972 to 1974, which, in place of the transverse pin under the barrel, uses a ring inserted in the back of the cartridge chamber.